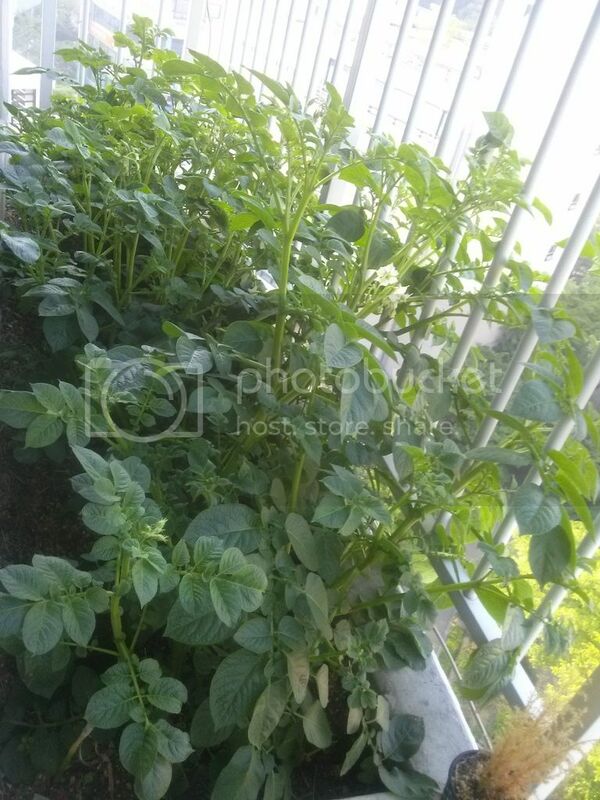 Cradled in my apartment veranda these days is a tiny potato patch. How this came about made me an incidental veranda farmer. I didn’t bother to put some potatoes inside the refrigerator and sprouts appeared on them. 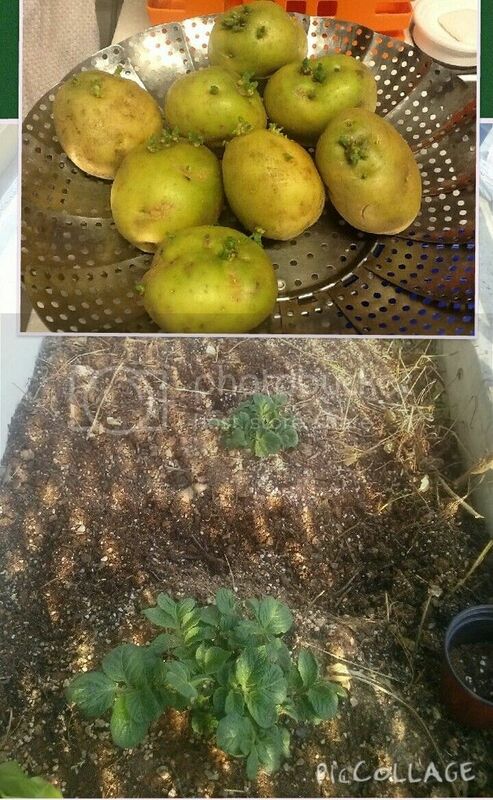 When I was told that it’s no longer safe for cooking, I hesitated throwing them so I googled about sprouted potatoes and got the idea to plant them. I never had any experience planting root crops before but I was willing to take my chances. I was even excited about it! I watched them grow daily and got excited each day. Even my sons were getting involved! They watered the plants morning and early evening. Even my parents didn’t know how a potato plant looks like. When they came over for a few days more than 2 weeks ago, they were surprised with my unlikely new “interest”. These flowers amazed me! 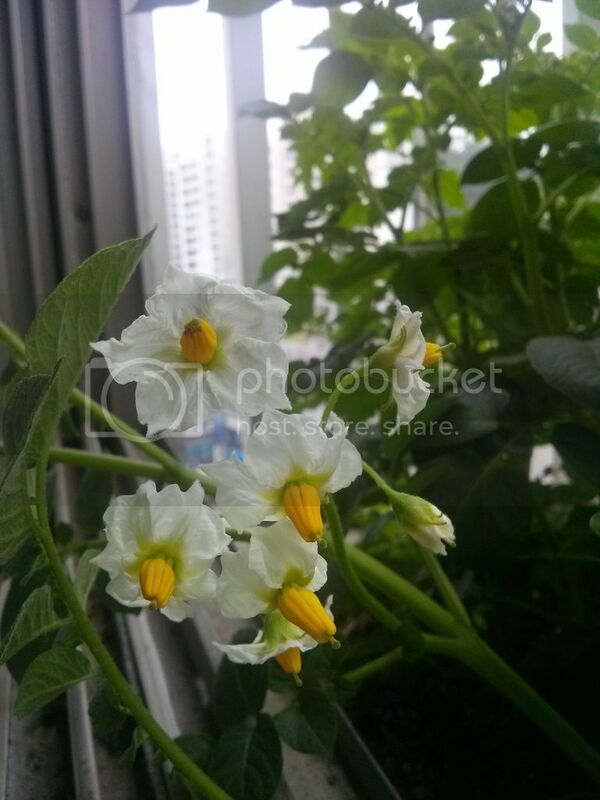 I never thought a potato plant could flower so beautifully. 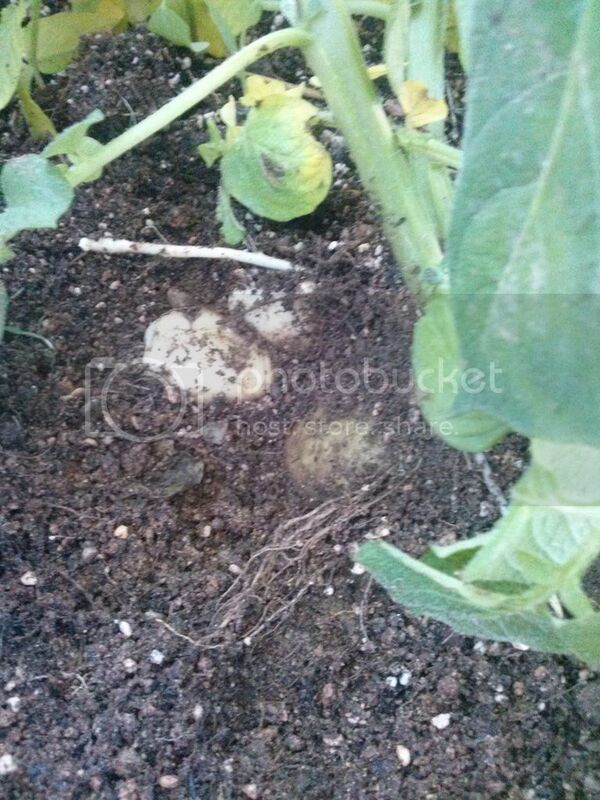 I am really supposed to wait for around 10 weeks before I can harvest… but being the newbie that I am, I always took a peek (daily) at the growing potatoes underneath the plants.I diligently cover them up after, of course. 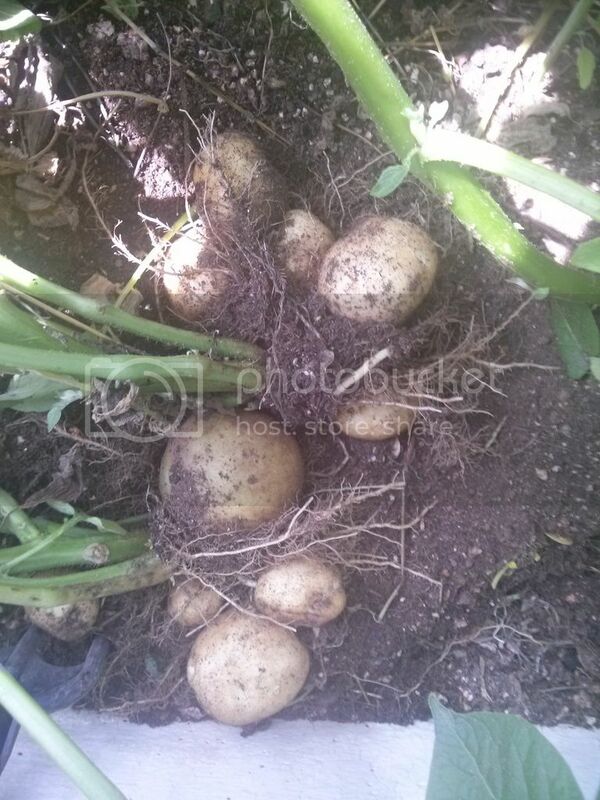 If you try them in your own home garden, just make sure you don’t hurt the potatoes so dig gently. Finally, got the courage to pull out the first plant last week! I got more than I needed, although some of them could have used more days under ground. Look! I pulled 3 plants and got all these! I used some for my menudo and will be using more for my corned beef. Whoooaaa! These earthy things could actually make one so happy! hahaha! 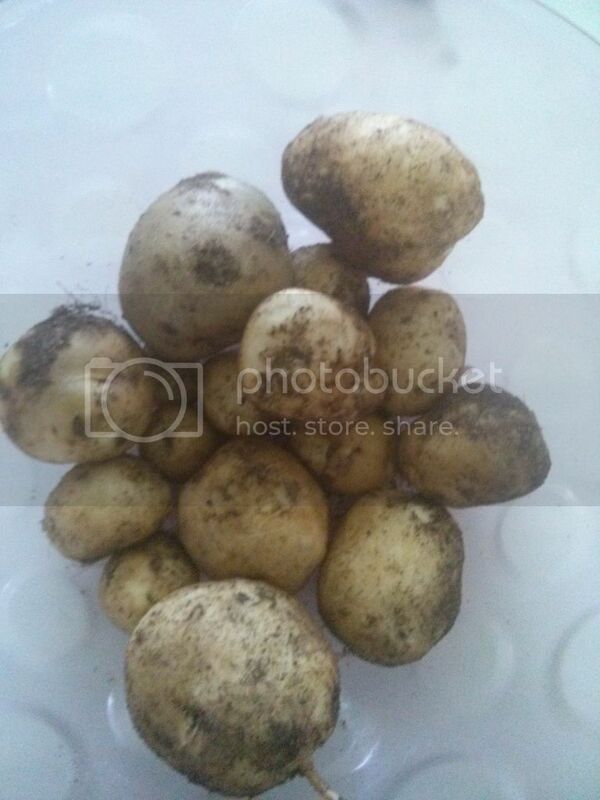 not a bad harvest for the first batch of a first time potato farmer, eh? I left some plants for future harvest. Maybe in a week or two. Until then. 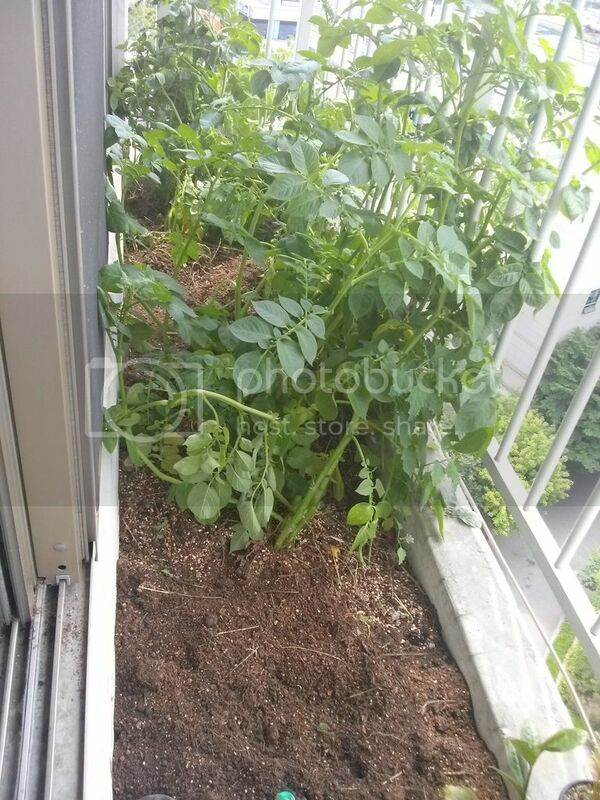 For now, I continue to watch them in my tiny veranda potato patch. Hubby is now looking forward if I will be true to my word and grow sweet potatoes. 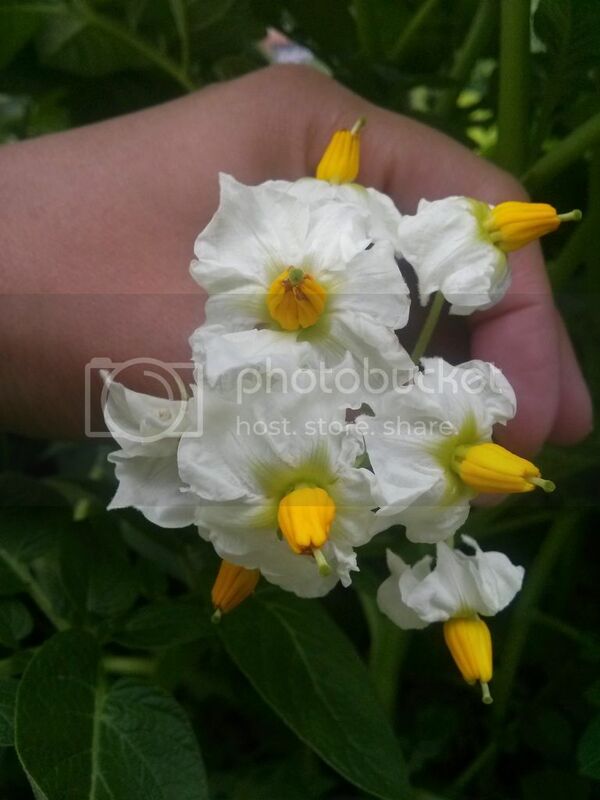 We’ll see..
WOW… Ok, I had no idea a potato flower was so beautiful. This makes me appreciate them even more. I always wanted to try having my own garden, but never had the motivation to do so. This is certainly inspiring! A fellow “limited space farmer!” I was tempted to grow potatoes this year but I didn’t and now I’m kicking myself! Well done, and keep working on this incredibly fulfilling hobby! How interesting, I had no idea that’s how potatoes grow lol. I have recently gotten into growing plants myself…for the first time ever! Its exciting watching them grow. You were very patient! Dragging buckets of water isn’t easy… but it’s different when you’re dealing with in-laws, eh? hahaha. i used the potatoes for my Filipino dish but I’ll try boiling as you suggested. Might help keep my hands off chips and sweets. Go for it! It turned out easy to grow. I’m now trying to start with my sweet potatoes. Hi Megan, I’ve never thought I would grow potatoes! Apartment living… hahaha. it’s not even easy to keep the regular plants alive! Ah, the life of a gardener. I envy you and your haul, Wendy. This takes me back to a few summers ago when I worked on my in-laws’ garden with all their assorted veggies and berries begging us for water and care every day. I got to learn about just about all types of plants except potatoes, strangely. The most fun (or pain) was when we spent afternoons dragging water buckets to each plot in the early morning heat and making sure all the crops were taken care of. Unfortunately, it was very dry and nearing drought conditions so it was important for us to generously water the plants. I’m happy you got those potatoes on your first try. I love the potatoes that are grown here. Boil them in salt water and bam, you’ve got a nice snack for a hike. Now I’m hungry! Nice Potatoes! 🙂 I’ve always wanted a garden but always lived in apartments too. 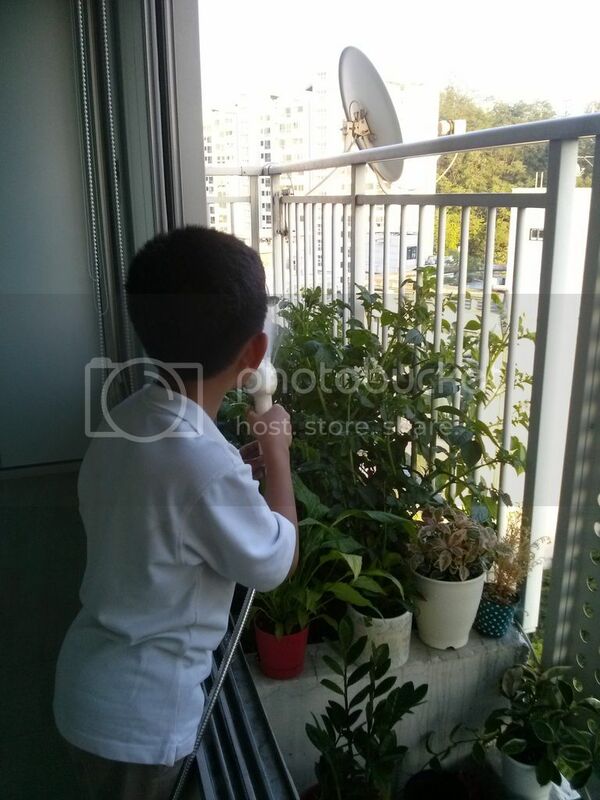 I love seeing you using your veranda as a garden.